This Pablo concealed shower package, consists of a thermostatic valve with diverter, a wall mounted fixed shower head and 6 slim body jets (Perfect for creating a shower that massages you). 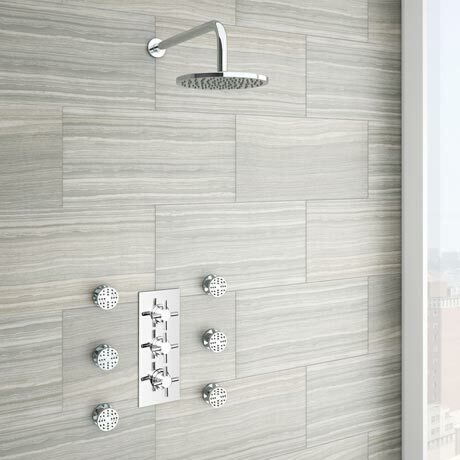 Shower valve offers thermostatic showering via two easy-to-operate controls for temperature and flow. Diverts between two shower accessories: fixed head/body jets. Shower head and body jets features rub clean nozzles.